Welcome to the official website for ICPMG2018! Any questions and feedback would be very much appreciated. Thank you to everyone who attended and made London a great success. Please find below information and photos from the event. Programme - final programme now available! The FINAL Programme for the conference is now available, here. You can also download the full oral presentation summary, here and the full poster presentation summary, here. The ICPMG2018 Conference Brochure can now be downloaded from here. 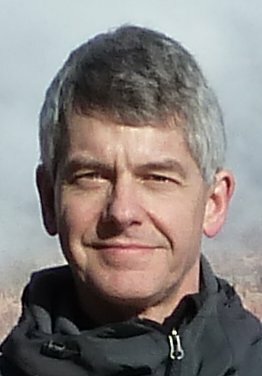 It is the Local Organising Committee's great pleasure to inform you that the ISSMGE Technical Committee on Physical Modelling in Geotechnics (TC104) has awarded the 4th Schofield Lecture to Professor Neil Taylor. This is the highest accolade that the Physical Modelling community can bestow upon a member and will take place on the evening of Tuesday 16th July in the Oliver Thompson Lecture Theatre at City, University of London. Professor Taylor graduated from Cambridge University in 1976. After a brief period in industry, he returned to Cambridge working with the geotechnical centrifuge both to develop the facility and conduct research on buried pipes, tunnels and trenches. He joined City University in 1984 as a lecturer responsible for establishing physical modelling research. He established the geotechnical centrifuge facility at City University and has initiated and supervised a wide range of projects utilising centrifuge modelling to address geotechnical problems related to infrastructure development, many involving the analysis of ground movements associated with tunnels and excavations. In collaboration with the Engineering Surveying Group then at City University, he developed a system for using the analysis of digital images to determine accurate and detailed patterns of ground movement enabling centrifuge studies to focus on pre-failure ground movements. In 1996 he was awarded the Personal Chair of Geotechnical Engineering. He has served on International Technical Committees for Centrifuge Testing and Underground Construction in Soft Ground. In 1999 he became Secretary General of the International Society for Soil Mechanics and Geotechnical Engineering.